According to Statista, online food delivery domain in F&B industry will generate revenue in the region of US$18,358 million in USA alone. Staggering number, isn’t it? Perhaps the biggest change in human life has come the way we have adapted ourselves due to digitization and innovations in last couple of years, not decades. Humans breathe digitally, walk digitally and eat digitally. Surprised? Nowadays, people will think : “Why the hell do we need to talk to a person to get a pizza and a Coke at my doorstep? It’s online.” That is perhaps, the most realistic change online food ordering and food delivery marketplace applications have brought to the scene in food and beverages industry. On-demand food ordering/ delivery marketplaces have led huge implications on technology sector to come up with feature rich online food ordering app development. Whilst Foodpanda, Uber Eats, Grubhub, DoorDash and Deliveroo are some of the big fishes in the domain of online food marketplace, local food ordering and delivery startups are also making a name of their own by delivering food to the table. According to Nielsen’s report 95% smartphone users use their devices to conduct restaurant searched and online ordering system. 90% of those searches convert within 24 hours while 60% convert within 1 hour. 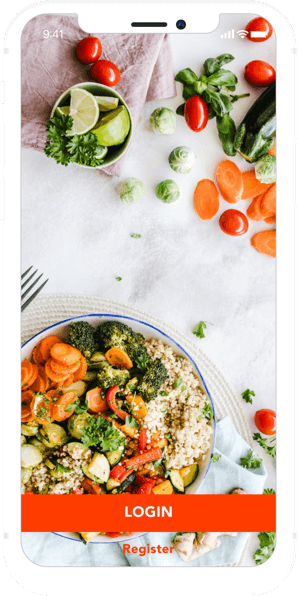 The usage of Android and iOS smartphones has been increasing and now is the time for restaurant and food businesses to leverage on-demand food ordering and delivery marketplace platforms to increase ROI. Let us have a look at vital points describing the need of online food delivery marketplace app. Headquartered in Germany and founded in 2012, Foodpanda is amongst the top 3 online food ordering and food delivery marketplace app platforms in India having set up a global base with its operations in 24 countries and territories. The two dimensional operational model of Foodpanda consists of a simple yet effective process. First model deals with the Restaurant Owners and the second one deals with the end users; in this case, Consumers. Now enjoy your favourite dishes at home prepared in the kitchens of the best restaurants and food outlets within your city. Now leveraging on-demand mobile platform, you can get your favourite food delivered instantly with a few taps via food delivery app. Want to develop and launch Online Food Delivery App like Foodpanda? 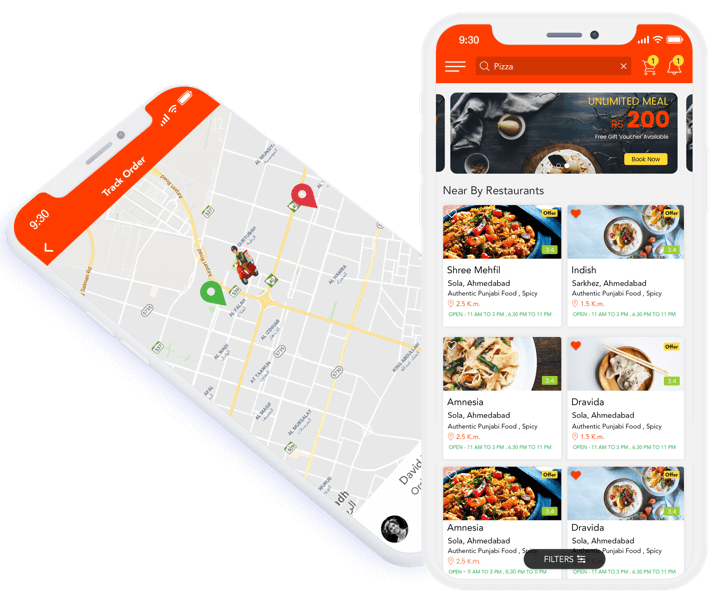 Being an award winning IT outsourcing company, Let’s Nurture helps people looking to invest in online food delivery marketplace app platform like Foodpanda through custom mobile app development services. Our experience in catering Food & Beverages industry with mobility solutions, where we possess unmatched expertise in bringing innovations to provide unique and business driven features leveraging various cutting-edge technology integration. Customers: End users of online food marketplace application have luxury to select favourite dishes, restaurants, cuisines along with placing an order and tracking it. Delivery Boys: Delivery boys have luxury to use online food delivery app like Foodpanda to earn some extra money, select the work hours and orders as per their convenience. Admin Users: Admin users use this app platform to manage restaurants, accept or reject the orders, renew the information on current menus and prices, track payments and more. Partner Restaurants: Restaurants owners can manage orders, staff, content (dishes and prices) along with payment process and transaction history. Cost to develop an Online Food Delivery Marketplace App like Foodpanda would be in the window of $18000-$20000. Let us have a look at the bifurcation on feature-cost estimation for online food delivery app. Being a top blockchain app development company, Let’s Nurture’s blockchain developers will help you to create a decentralized food ordering and food delivery platform. All the users will be empowered to use this platform and share the revenue fairly due to complete transparency. Hire Chatbot developers who are experts in building conversational AI based bots which can be icing on the cake for your food delivery app. Why? Because no matter how excellent your UI/ UX is, Chatbot speeds up the process in the world of On demand services with instant information resource for mobile app users. Chatbot will automate how your platform helps consumers- to select favourite dishes from the menu, ordering and also with delivery and pick up to enhance food ordering experience for consumers. Voice first technology is the future. Custom voice skills like Alexa skills development and Action on Google (AoG) development will innovate and upgrade your existing or new food delivery app project, just like Grubhub. Hire Alexa skill developers for Alexa skill integration to your mobile apps to speed up the process of food ordering and estimated time of delivery notifications. As people are getting inclined more towards custom mobile app development for their businesses, now is the time for you to be in it to win it. Let's Nurture is an award winning ISO 9001:2015 certified IT outsourcing company with development centers in India, USA, Canada, UK, Australia and Singapore. We provide expert consultation and mobility solutions for food and beverage industry. Out-of-the-box solutions offered leveraging BLE/ iBeacon, IoT to make your platform “Smart”. Looking to own a local online food ordering and delivery application development and make it scalable? What would be the best thing for me? A common app for restaurant owners and customers. Or separate applications for both of them? Can the delivery boy, restaurant owners and customers chat over the application? Of course they can when required. However, we are including this features as an add on. This module will help customers to track the order effectively in case of technical issues. On the other hand, delivery boys can get online support from tech or admin team for detailed information about orders if needed. Will you help in launching my online food delivery app? Of course we will help you with guaranteed deployment of online food delivery app. We help all our clients to launch their Android and iOS applications on Google Play Store and App Store respectively. Mobile application deployment is already provided as a part of our service agreement. We also help in content optimization in App Store and Google Play Store if clients say so. Yes, we do provide App Store Optimization, App marketing and digital marketing services as add ons to custom mobile app development projects. We offer bespoke pre-launch and post launch app marketing strategies with expertise in other ASO domains like on-site optimization and maximum localization, keywords optimization and tracking and App Store Optimization friendly content creation and optimization. Get more information here. What is your experience with marketplace applications development on web and mobile platforms? Do you provide facility to hire dedicated mobile developers for my online food delivery app development project? Yes, we do provide flexible hiring models consisting highly skilled and certified resources which are well versed in project development for diverse industries. Providing flexible and business driven Staff Augmentation and IT Nearshore Outsourcing Services for several years now, we exactly understand various expectations of our clients and hence provide flexible engagement models to hire Android app developers and iOS app developers at the best prices to ensure complete customer satisfaction and unmatched quality. What type of support can I expect after my food delivery app goes live? Have an !dea or need help to build online food delivery app like Foodpanda?